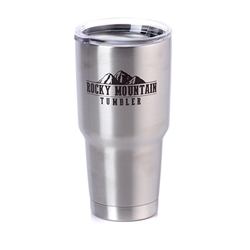 Rocky Mountain Tumbler Holds Keeps Your Drinks Cold or Hot All Day Long! The 30 oz tumbler that keeps your drink cold up to 24 hours and your hot drink hot up to 12 hours- longer than any other tumbler on the market! Rocky Mountain Tumbler, As Seen on TV, will keep your drink cold for up to 24 hours and keep your hot drink piping hot for up to 12 hours- longer than any other tumbler on the market! 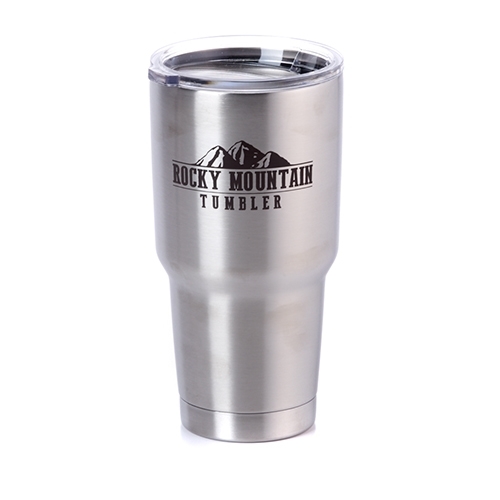 Rocky Mountain Tumbler is made with a double-wall vacuum insulation that keeps your cold drink ice cold and your hot drink hot! Made of kitchen grade stainless steel. Holds up to 30 oz of liquid. The tapered design fits any cup holder. Includes a clear lid with water tight seal. BPA free.